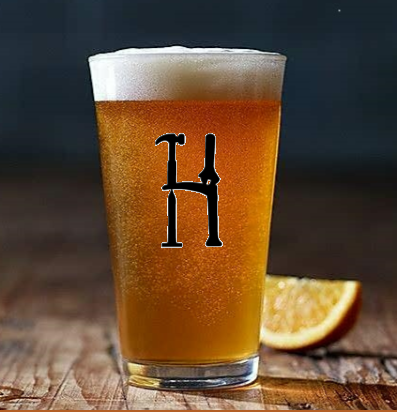 Menu — Hardware Brewing Co.
WE SERVE HBC CRaft Beer, Local Wines & SAVORY PUB FOOD! THE BREWERY IS AVAILABLE FOR FULL BUYOUT FOR YOUR PRIVARE EVENT. ANNIVERSARIES, RECEPTIONS, BIRTHDAY PARTIES, CLUB PARTIES, RENUNIONS, BUSINESS, WHATEVER YOUR REASON TO CELEBRATE! HARDWARE BREWING CO. BREWS ARE ON TAP! 1904 IPA , James Blonde Ale, Sally's APA, Boltcutter Black Oatmeal Stout, Red Nail Ale. We also carry other NW breweries taps. WE SERVE A VARIETY OF GREAT LOCAL WINES, PRIMARILY FROM IDAHO, AND WASHINGTON. Fresh mushrooms, stuffed with seasoned pork rinds, blend of cheeses, and mushroom stems, baked in a light butter sauce and served sizzling in cast iron! Mouth watering and Gluten Free! Lightly Spicy - To die for! If you want a great appetizer to pair with awesome beer, this is it! Three BIG hand twisted, Bavarian sourdough pretzels, served with a side of ranch dressing. Bacon and pepper-jack cheese macaroni bites, beer Medium to Hot Premium grade Jalapenos, stuffed with tangy Chili Cream Cheese, covered in crisp bread crumbs that are seasoned with red and green chili flakes. Yum! FRENCH FRIES Served with our Spicy Mayo Sriracha dipping sauce. House Salad made with fresh mixed greens, tomtato, cucumber and croutons. Seved with your choice of ranch, honey mustard, bleu cheese or balsamic vinaigrette dressing. Add Duck Bacon - it's delicate flavor is delightful! $1.50. Add Avocado when in season, $1. House made, old recipe, pickled Tavern Egg. "The best Da-- Pickled Egg this side of the Mississippi!" B. Houser, Genesee ID. A hand pattied ground chuck burger on a brioche bun, served with french fries and dill pickle. Dress it with your choice of cheese, lettuce, tomato, mayonnaise OR our spicy sriracha mayonnaise. Top you burger with bacon, grilled onions or jalpenos, for and additional 1.00 per item. Duck Bacon 1.50. Avocado is available when in season. Three small burgers smothered with rich barbecue sauce, topped with havarti cheese, and carmelized onion. Served brioche buns with fresh fried potato chips and a pickle. THE KENDRICK- Our Signature Sandwich! A premium Kielbasa hardwood smoked, natural casing, braised with beer and serve don a brat bun witho uour killer fresh bacon fried cabbage, fresh fried potato chips, relish and house eer chees sacue, all served on the side. Make your taste buds explode! BOOM!! HBC Specialty! Sliced turkey, swiss cheese, duck bacon, lettuce, onion, and tomato. Layered on thick cut white french bread with mayonnaise and honey mustard dressing, served with fresh fried potato chips and pickle. A Big Gobbler Meal! Moist chicken tenders encrusted in a golden potato chip coating served with beer battered french fries and your choice of ranch, honey mustard, bleu cheese, barbecue sauce or balsamic vinaigrette for dipping. Fresh house made Jumbo Drumettes, baked in garlic, onion, bay &rosemary seasonings, then deep fried to order and somothered in HBC's special Hot Wing Sauce. Served in a bucket with fresh celery and ranch dressing. Big Rich chocolate cake brownie served with or without whipped cream. Big bowl of Rich Creamy Huckleberry Ice Cream, with berries swirled throughout. Made the Old Fashioned Way! Premium Cascade Ice Cream. Fresh fruit flavors infused with a “secret superfruit”. With antioxidants, and only 5 calories, it’s a great refreshing way to bring healthy bold flavors into your life. WE THANK ALL OF OUR FRIENDS AND PATRONS FOR SUPPORTING US WHILE WE BUILD SOMETHING SPECIAL IN THIS SMALL RURAL IDAHO COMMUNITY. IT HAS TAKEN A LOT OF TIME AND A LOT OF EFFORT, AND WE COULD NOT HAVE DONE IT WITHOUT OUR AMAZING PATRONS AND THEIR PATIENCE AND SUPPORT! WE SINCERELY THANK YOU! OUR Menu is Available for Takeout! There IS A $0.50 CHARGE PER “packaged” takeout. We Accept Cash, Credit, or Debit Cards, No Checks Please.